Stephen is cofounder and CEO of CoveyLink Worldwide. He is an advisor on trust, leadership, ethics, and high performance. He is the author of The Speed of Trust, a groundbreaking and paradigm-shifting book that challenges our age-old assumption that trust is merely a soft, social virtue and instead demonstrates that trust is a hard-edged, economic driver—a learnable and measurable skill that makes organizations more profitable, people more promotable, and relationships more energizing. He advocates that nothing is as fast as the speed of trust and that the ability to establish, grow, extend, and restore trust with all stake holders is the critical leadership competency of the new global economy. Covey passionately delivers that message and is dedicated to enabling individuals and organizations to reap the dividends of high trust. Audiences and organizations alike resonate with his informed, practical approach to real-time issues that affect their immediate and long-term performance. He is the former CEO of Covey Leadership Center, which, under his stewardship, became the largest leadership development company in the world. Under Covey’s direction, the company grew rapidly and profitably, increasing profits by 12 times. During that period, both customer and employee trust reached newhighs and the company expanded throughout the world into over 40 countries. This greatly increased the value of the brand and company. The company was valued at only $2.4 million when Covey was named CEO, and, within three years, he grew shareholder value to $160 million in a merger he orchestrated with then Franklin Quest to form FranklinCovey. 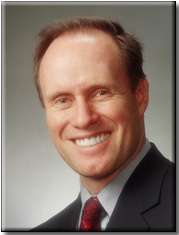 Covey currently serves on the advisory board of several entities, including the Human Performance Institute. Character and competence are vital to trust.With the increasing focus on ethics in our society, the character side of trust is fast becoming the price of entry in the new global economy. However, the differentiating and often ignored side of trust — competence — is equally essential. The combination of these two dimensions is reflected in the approach of effective leaders and observers everywhere. The essence is a balancing of character and competence. 13 Behaviors of high-trust leaders. Goal: To understand how trust when developed and used properly has the potential to create unparalleled success and prosperity in every dimension of life. Learn how to restore lost trust. This highly interactive workshop engages you in learning pragmatic, practical, and actionable skills that you can implement immediately regardless of your role in the organization. Instead of continuing to pay a trust tax, organizations can begin to realize the great benefits of a trust dividend. Goal: To identify and close the trust gaps that exist in your organizations. To learn how to restore trust with those with whom you have broken trust relationships.